A former school board member and retired police officer says he thinks it’s time for an “ordinary person” to represent the West Side and nearby suburbs in Congress. 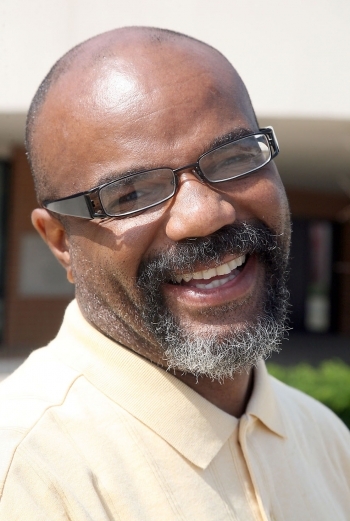 Jacques Conway, a River Forest resident and pastor of Neighborhood United Methodist Church in Maywood, will face longtime Congressman Danny K. Davis on the March 20th Democrat primary ballot. “I want to see, can an ordinary person get to Washington? That’s the big test,” Conway said in a recent interview with the Austin Weekly News. A married father of three, Conway was an Oak Park cop for 22 years before retiring in 2006 as the first black officer in that village to reach retirement with full pension. He resigned from his school board seat at Oak Park and River Forest High School last summer and currently works at Teamwork Englewood, a South Side youth nonprofit organization he helped start. Conway, a South Side native, said he’s always had an itch to pursue politics at a higher level and thought now was the right time. The relative political unknown faces a tall test in the 7th District. 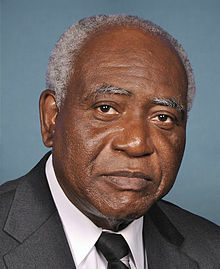 Davis, 70, has served in Congress since 1997, replacing the legendary Cardiss Collins, who retired from her seat. There was speculation that Davis might not run again after recently flirted with running for Cook County board president and mayor of Chicago. But in a recent phone interview, Davis called that speculation mistaken. Davis, who lives in Austin, said he’s proud of his service in Congress, including sponsoring a bill to help ex-convicts get a second chance in life. The congressman said his work feels unfinished, including his efforts to pass an anti-bullying bill that he sponsored which would require states to track data on the prevalence of bullying and harassment at schools. To read the rest of the Austin Weekly News story, click here. More than 40 high school students from Illinois' 7th Congressional District are vying for the right to have their works displayed at the U.S. Capitol for the next year. The public is invited to learn more about The Westside Source 11:30 a.m. Saturday, April 11. Leroy Duncan, Maretta Brown-Miller, Otis Percy and Tara Stamps are challenging Ald. Emma Mitts. I met Pastor Conway when he was an Oak Park policeman. I am confident that he will be a good candidate who will represent Illinois with humility and grace. I will vote for him, because he represents everything that will I represent, and that is : “Gloryfying God”. Peace. I need to know if Pastor J. Conway is Pro-choice, because if he is for that reason alone, I will not vote for him, because to be pro-choice is to be for murder of unborn children. Peace.